Improved! The Lighthouse HANDHELD 3016 IAQ Particle Counter now offers four instruments in one: Particle Counts, Mass Concentration Levels, Temperature, and Relative Humidity. Comes with 2-year warranty! 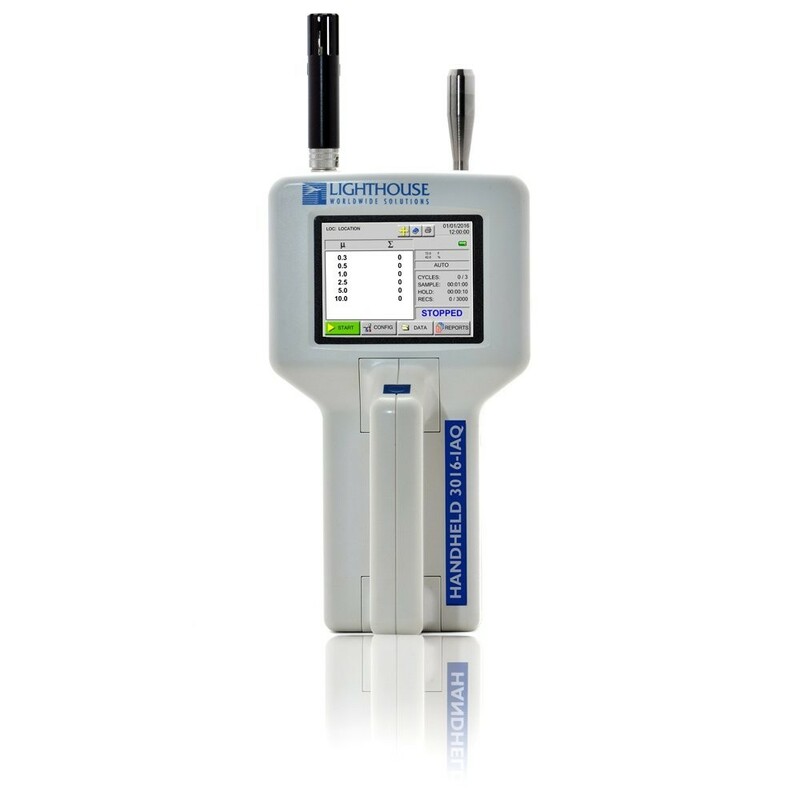 Ergonomically designed and lightweight, the Lighthouse HANDHELD 3016 IAQ is the newest and most advanced handheld particle counter on the market for indoor air quality monitoring, featuring Mass Concentration Mode that approximates density in µg/m3. Temperature/Relative Humidity data on its easy-to-read 3.8-inch (9.25 cm) backlit touch screen. A removable lithium Ion battery maximizes the HANDHELD 3016’s uptime. Data is easily downloaded using the lighthouse Data Transfer Software lMS XChange. The HANDHELD 3016 will monitor particulate levels accurately and reliably, even in those hard-to-reach areas where two handed operation is unsafe.